This May current and past recipients of the William Cooper Mack Thesis Fellowship gathered at an Italian restaurant not far from the Foundation Building for one of the most enjoyable and anticipated events of the commencement season. The annual luncheon brings together a small but ever expanding group consisting of all recipients of the Fellowships, which are awarded each year to selected thesis students at The Irwin S. Chanin School of Architecture, allowing them to travel to the sites chosen for their thesis projects. They were greeted, as always, by John and Harriet Mack, who established the Fellowship in 2009 in memory of their late son. They travel each year from their hometown of Rogers, Arkansas to meet the newest recipients of the Fellowship and reconnect with Fellows of years past. "It's like a reunion," Pamela Cabrera AR'13 said with a grin. "It's really important. I wouldn't miss it." This year the Fellowship program marked its fifth anniversary, giving its founders and those impacted by it an opportunity to reflect on its origins and how it has affected the school and its graduates. What brings them together is the legacy of William Cooper Mack and the Fellowship that bears his name. Cooper, as he was known, showed an early artistic talent. After high school he was accepted to the School of Art at The Cooper Union and studied there for a year. But a number of instructors advised him that his work was more closely aligned with that of architecture. So, because the schools do not allow internal transfers, he re-applied as a first year student at The Irwin S. Chanin School of Architecture. There he found his métier. 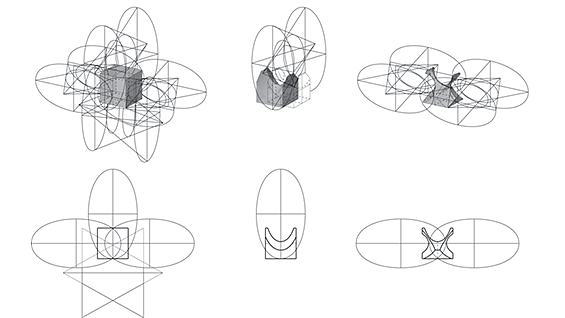 "Cooper's conceptual skills coupled with his interest in materiality put him two or three years ahead of the curve in experimenting with new developments in the production of architectural form through digital drawing and digital 3D modeling," Elizabeth O'Donnell, acting dean of the school, recalls. As part of a self-motivated extension of his education Cooper would travel during the summer breaks to key architectural sites in Mexico City, Chile, Peru, Spain, England, France, Portugal and Italy. He graduated in 2006 and worked for Jesse Reiser AR'81 and Nanako Umemoto AR'83 at RUR Architecture PC for a year, then for Farshid Moussavi at Foreign Office Architects in London. But in June 2008 Cooper succumbed to leukemia. His parents immediately started a memorial fund in his name dedicated to arts and education. That fund would soon become the seeds for The William Cooper Mack Thesis Fellowship. "The Fellowship started at a time that was very difficult for us," Harriet said during a pre-lunch meeting at the school. "John would come home and we would sit at our kitchen table and get on the speaker phone with Elizabeth and say, 'We need to do something positive.' And she would always say, 'Are you sure you are ready to talk about this?' But we just had to get started in some kind of positive direction." Cooper's love of travel and the school of architecture's evolving direction for the thesis year gave shape to the idea of the Fellowship award. "We saw among the students a growing interest in having thesis be something that investigates issues around the world," Dean O'Donnell said. "And we were interested in encouraging students to recognize the architect's responsibility to think globally even as you work locally." The Macks, working with the deans and the development office, established the Fellowship to provide funds to allow fifth-year architecture students to travel to the location of their thesis for primary research that would inform and enrich the work. Students who apply must submit a statement of intent and a travel budget to a committee of deans and thesis faculty. "Because it is such a valuable experience, we will often give the applicants less funding than they ask for so that we can support as many projects as possible. We ask each student, 'Can you make this work?' " Dean O'Donnell explains. Almost all students figure out a way. And so, in fall 2009, the first three thesis Fellows were announced. Notably, all of them knew Cooper Mack personally, having worked alongside him in the studio space that all five classes in architecture share. Since then there have been a total of 25 sponsored trips investigating, among other things: improving infrastructure in Port-au-Prince, Haiti (Angelique Pierre AR'10); the meaning of American monuments (Emily Nguyen AR'11); agrarianism in Cuba (Daniel Wills AR'12); the results of violent displacement in the Bakassi Peninsula in Africa's Gulf of Guinea (Eze Imade Eribo AR'13). 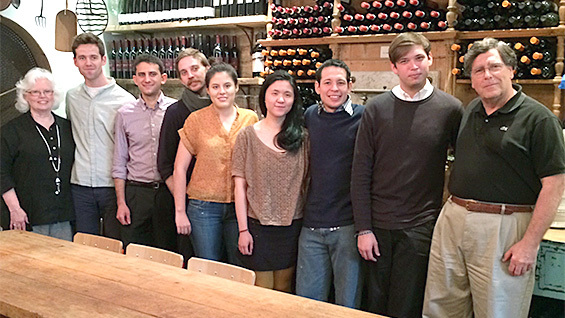 The seven Fellows of 2014 traveled to sites in France and Italy and five sites in the Americas. Over its first five years the William Cooper Mack Thesis Fellowship has had a broader impact on the school than its founders may have expected. "When we started the Fellowship we had this vision that thesis students would visit Site A and produce a building that would solve something at Site A," said John Mack, who is a practicing architect in his hometown. "But these students have had a much broader scope than we did. What they respond to is the experience of the site itself, to produce a series of structures that would solve a series of social issues that they saw." Dean O'Donnell concurs. "The students were saying, 'I want to be an architect. How can my work have an impact on these broad issues and potentially ameliorate some of this social distress?' "
The school of architecture, along with the Macks and Cooper's brother Hunter, continue to raise funds for the Fellowship, which has been set up as a restricted fund. The goal is to have the fund grow to allow any thesis student with a strong proposal to travel. "It's important for this generation of architects to recognize how incredibly interconnected the world is," Dean O'Donnell said. "Everything you do now is both local and global. We think of this as our foreign study program, Cooper Union style. You are not going to travel with a group of American students and study in Italy. What you are going to get is support to do an ambitious solo research project and bring back new knowledge, new information that is going to have a direct impact on your thesis project." For John and Harriet Mack the Fellowship continues the work of their son. "Cooper wanted to push the boundaries of the traditional, rigorous architectural program and I think that's what these kids are doing," they said. "It's wonderful to see the creative spirit. Because that's the creative spirit that Cooper had. They are doing good things." At the luncheon the past and current recipients of the Fellowship mingled and reconnected over plates of charcuterie, grilled chicken and asparagus. Clearly it was a fellowship in more than just its name. Near the end Harriet thanked them all for coming and for "touching our hearts." She promised their return next year. Then she handed them all individually wrapped packages of her homemade chocolate chip cookies and gave them all one more hug.